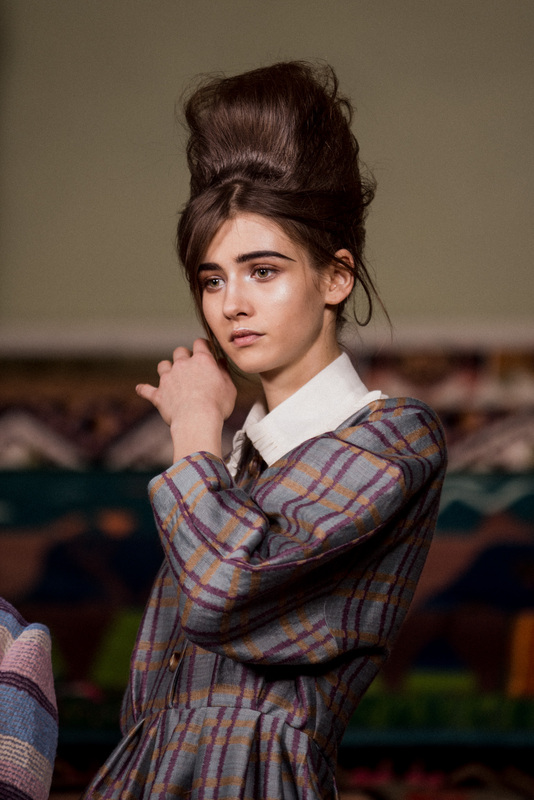 The Tata Naka AW18 Collection presentation, held at the Theatre Royal Drury Lane, displayed a striking mix of Eastern European folk traditions and English culture. The theatre, as the backdrop, provided contrasts with the vibrant patterns within the collection and the strong Eastern European influences prevalent in the patterns and fabrics used. Each piece demonstrated the two-designer’s attention to texture. The collection featured strong silhouettes to mirror the strength of the woman wearing them. 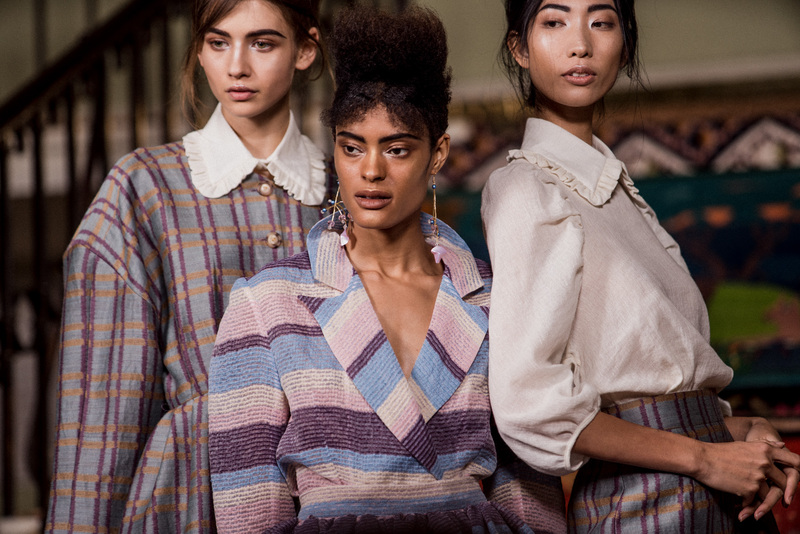 The silhouettes varied, some were broken by dupion ruffles or a bold change in fabric, yet the collection remained consistent and was pleasingly cohesive with it use of colours. 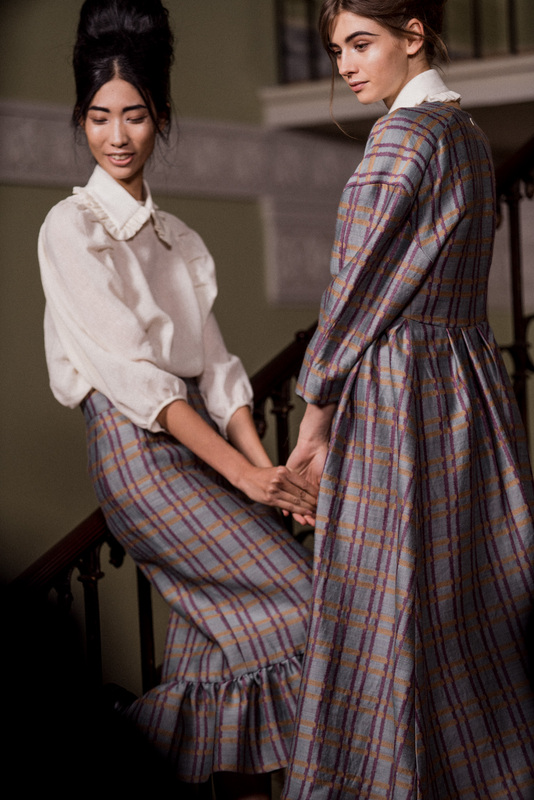 Bright yellows met muted purples in perfect harmony to create pieces that show clear influences of Pavlovo Pasad’s Russian shawls and British fashion. 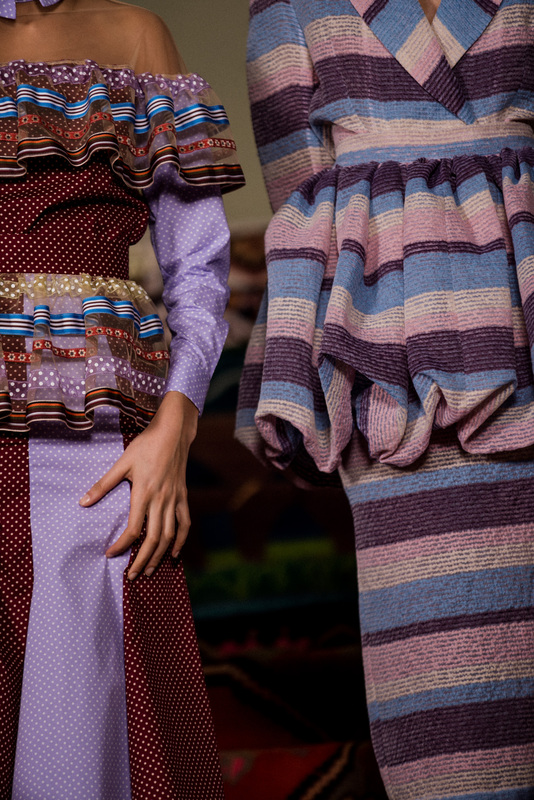 Textured skirts lent themselves to the music that played over the presentation. The collection places an emphasis on the way a woman moves and how her dress can complement, but not conceal, this. The collection showed amazing attention to detail. One can see the care taken in selecting colours, textures and fabrics that heavily promoted the movement aspect of the pieces. The pieces in the collection, coupled with the backdrop of theatre, demonstrate a striking collaboration of past and present.